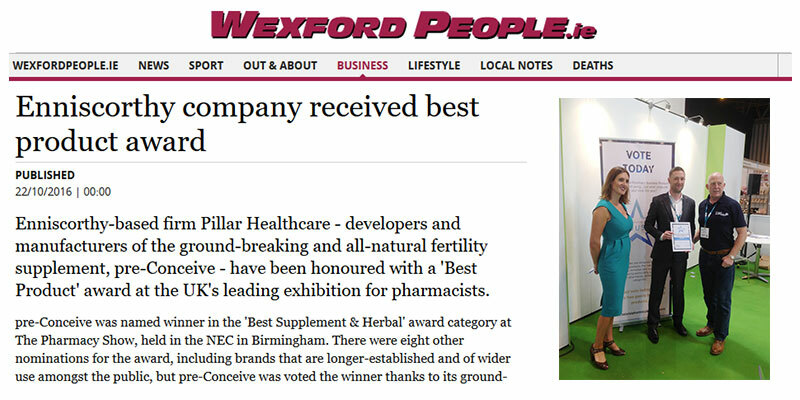 Enniscorthy-based firm Pillar Healthcare – developers and manufacturers of the ground-breaking and all-natural fertility supplement, pre-Conceive – have been honoured with a ‘Best Product’ award at the UK’s leading exhibition for pharmacists. 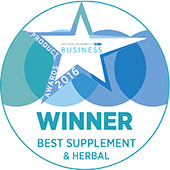 pre-Conceive was named winner in the ‘Best Supplement & Herbal’ award category at The Pharmacy Show, held in the NEC in Birmingham. 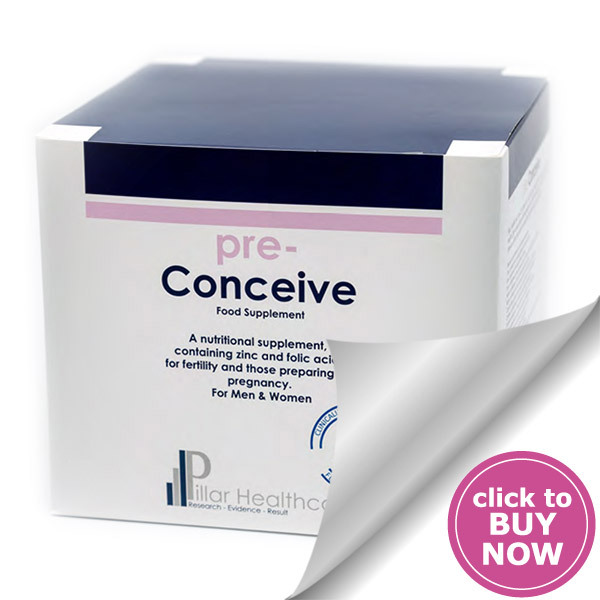 There were eight other nominations for the award, including brands that are longer-established and of wider use amongst the public, but pre-Conceive was voted the winner thanks to its ground-breaking formula that has been clinically proven to improve key fertility parameters in both women and men. pre-Conceive received more than 20,000 votes – over 5,000 more than the runner-up. 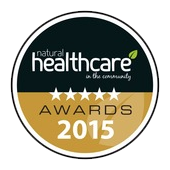 Pillar Healthcare’s Managing Director Mark Whitney said it is always great to be nominated for such a prestigious award. 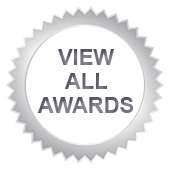 ‘Looking at the calibre of the other companies and products pre-Conceive was nominated alongside, it makes the success all the more special. 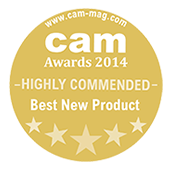 It is always great to get the recognition for the hard work that goes in to creating and developing a product. Hopefully, pre-Conceive can go on to help more couples conceive naturally or with assisted reproduction,’ he said. Pillar Healthcare and pre-Conceive had already been listed as one of the ‘Must-See’ exhibitors at The Pharmacy Show, which is attended by thousands. This is due to how the company and product exactly fit the ethos of the Show – to showcase new solutions for the pharmacy sector. 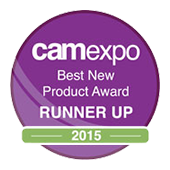 Being both a ‘Must-See’ and an award winner meant the Pillar Healthcare stand was visited by a large number of pharmacy professionals during the two-day exhibition, and Pillar Healthcare is now looking forward to further expanding the availability of pre-Conceive in the UK.